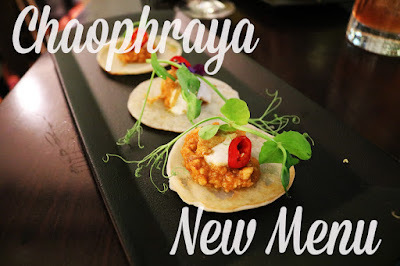 It’s definitely been over 5 years since I visited Chaophraya as I know for certain that if I had been I would have blogged about it and I haven’t. I have visited a few times before my blogger life began and from memory I used to really enjoy the meals there, the only suggestion I can provide for not returning is that since my blogger life started new and shiny restaurants tend to catch my eye more often than the solid oldies. Pretty bad really and something I am trying to rectify! As you can imagine their menu has changed many times since I last visited, they’ve even expanded in to the ground floor since I lasted visited. Their most recent menu change, which launched this month, sees them trying to be a little different. 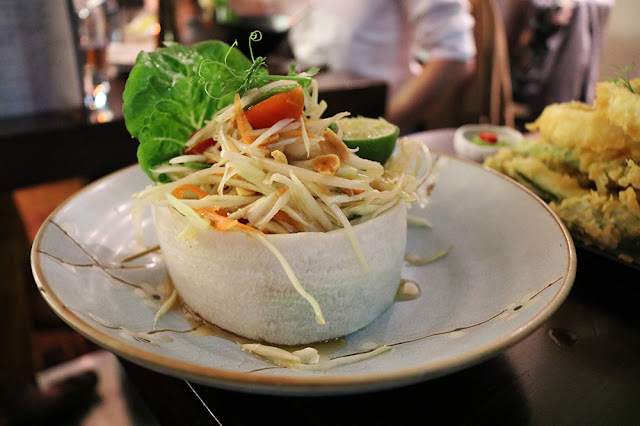 When first starting out 10 years or so ago Thai ingredients weren’t so easy to come by and so alternatives or basic Thai dishes were the only way to bring a sense of what Thai food can offer. 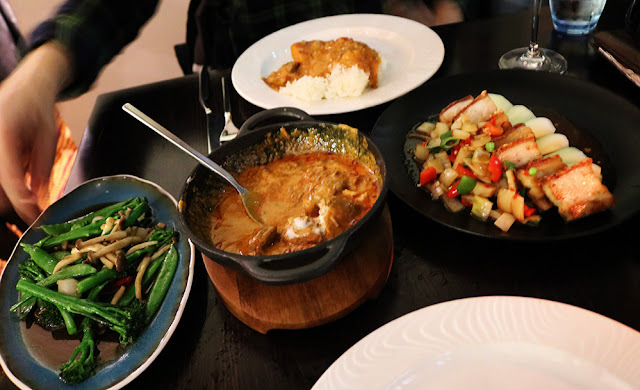 In recent years the UK’s food scene has blown up rather a lot and finding niche products is becoming easier, no longer is acceptable just to have a Thai red chicken curry when there is so much more on offer. 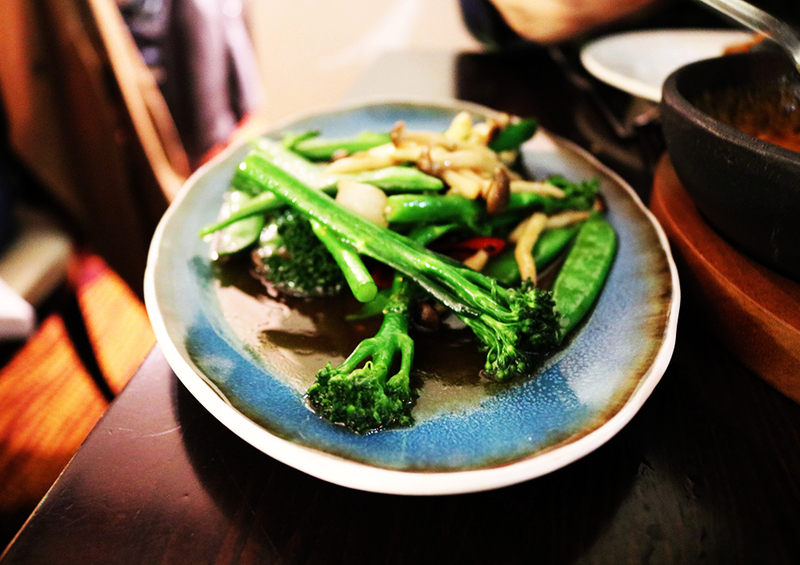 You’ll still find firm favourites on the menu perhaps shaken up a little to try and offer the customer a more authentic Thai meal alongside lesser known items. We were told by two separate staff about the concept of the menu with one sounded a lot more genuine than the other, we definitely got that they wanted us to go on a journey… but perhaps they didn’t need to push this on us so hard. Whilst we scanned over the new menu we ordered a couple of cocktails, two of the three new varieties on offer alongside the menu change. 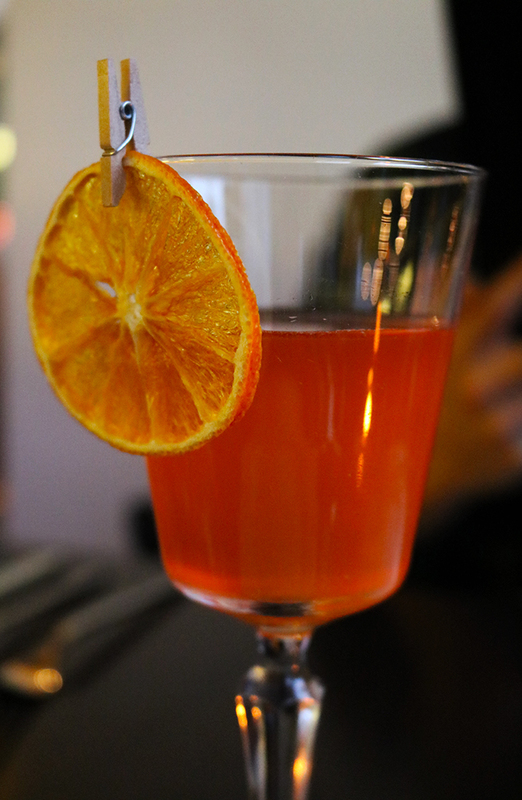 The first being 'Flower Market' a mix of elderflower cordial, gin and Aperol complete with cute peg and orange. Admittedly I was a little hesitant in ordering this drink as I’ve recently had an Aperol cocktail that was beyond horrid, plus you’d be surprised how different Aperol Spritz tastes outside of Italy (perhaps the scenery and sunshine have something to do with it), however this cocktail was delightful. 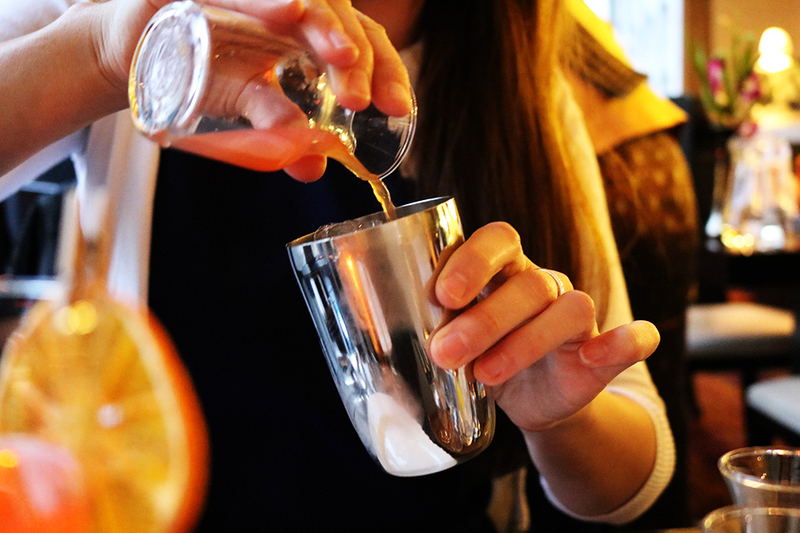 It was sweet and delicate; I could barely taste the alcohol and fear that these could easily led to one being rather intoxicated through easy consumption. The second cocktail we ordered was prompted through novelty of shaking it yourself and aptly name D.I.Y, it also appeared to be the winning choice for the many other bloggers and media types who were also in Chaophraya that night. A rather strong concoction with whiskey and bitters it wasn't particularly for me. If you’ve ever been to Chaophraya you will have no doubt have felt the close proximity of the person next to you, the tables are very close together here, it’s always been this way, it’s almost as if you’re dining together. As soon as the couple next to us landed we were pinned to the window and unfortunately forgotten about a little too. Despite our early arrival their order was taken before ours, their meals arrived before ours and they left half an hour before us. It left us feeling a little downtrodden and if I’m honest, frustrated. Clearly orders were finally taken and to start we were encouraged to not only order the chicken tacos and vegetable tempura but also a papaya salad to share too. I’ve never come across tacos in a Thai restaurant, Mexican yes, Thai no. 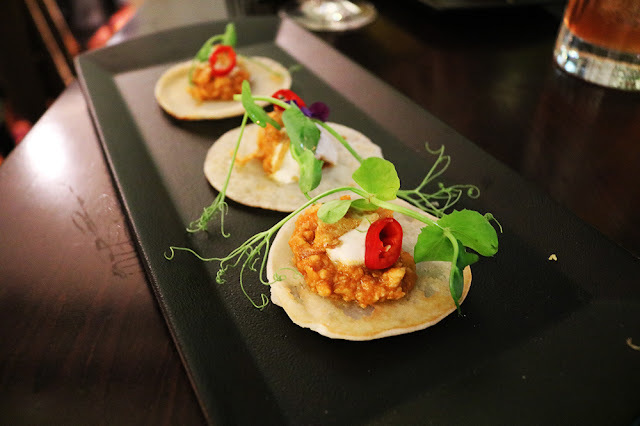 They're not exactly stereotypically taco-ish with them being neither crispy or of a floury tortilla texture, they seemed more like Thai pancakes. Taco or pancake they were pretty delicious with the chicken being similar to red Thai curry with an extra hit of coconut and the spice from the chilli. 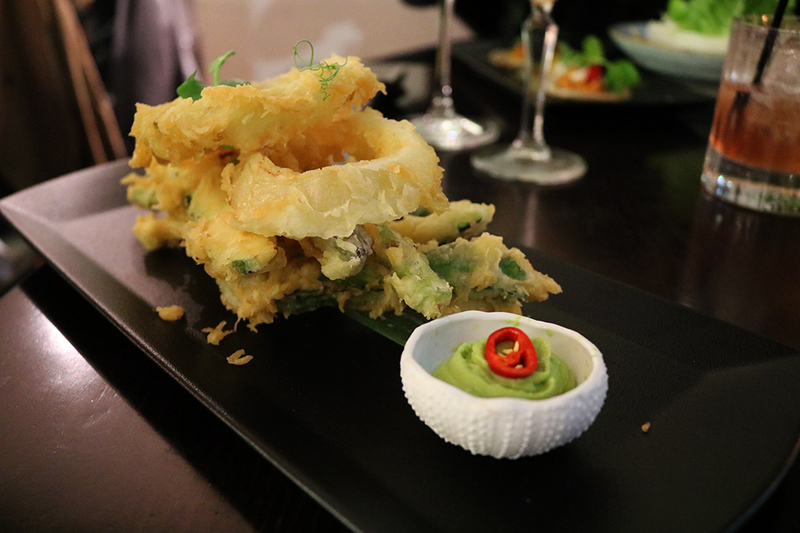 D’s option of the vegetable tempura was a bit of a let down, fine if you like batter but if you’re looking for flavour you’ll need to improvise such as we did by squeezing lime on to them and dipping them in to our salad dressing. The avocado sauce served with it was neither boasting flavour or big in quantity. The salad recommended by our waitress was a delight, it was fresh, crunchy, spicy and the addition of peanuts made it really enjoyable. D has never raved so much about salad in his life. Literally couldn't shut him up. 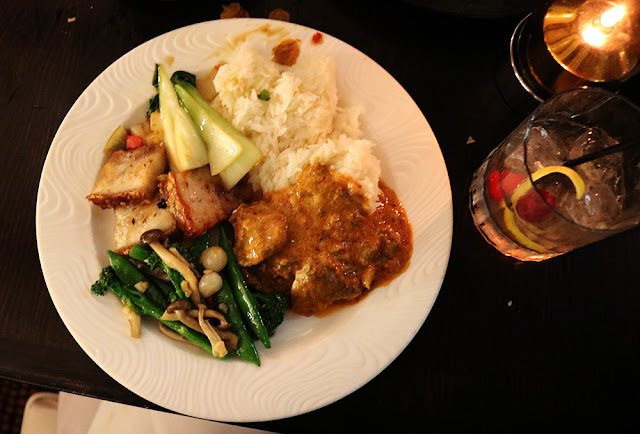 We decided to share mains with D ordering the Massaman Lamb Curry and myself the crispy pork belly (as per the recommendation of our waitress). 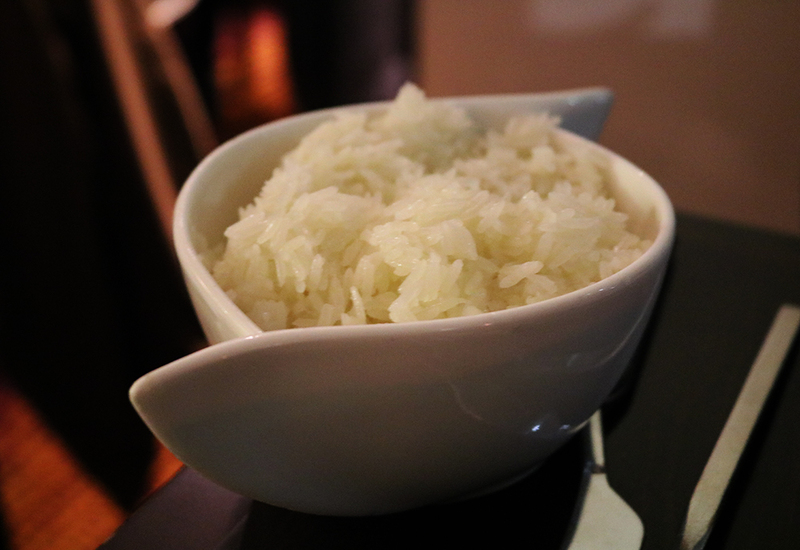 When ordering the coconut rice I was advised that the sticky rice would be better as it was more ‘Thai’ we went with this plus the recommendation of the mixed vegetables as a side too. By the time I had filled my plate it looked like I had done a round of an all you can eat Thai buffet. I really enjoyed the Massaman Lamb Curry with the sauce being rich, cocunutty and with a slight of spice. The lamb was well cooked with it falling a part gently and packed full of flavour. 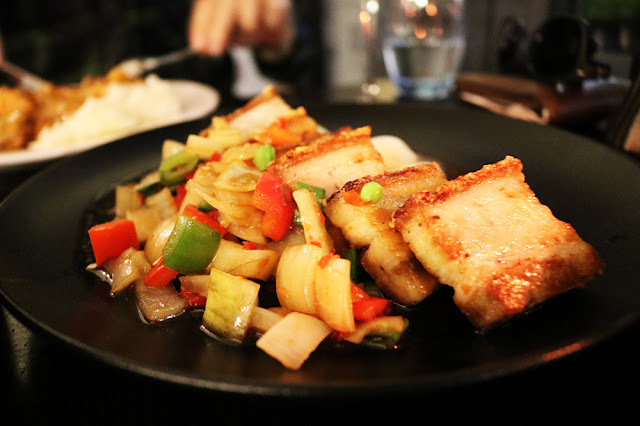 The pork belly was, as pork belly usually is, a little fatty. Actual quite a bit fatty, with the vegetables served with it sitting in a fatty broth, great for taste note so much for texture. The crackling was spot on, crispy and flavoursome without it overpowering the whole meal. The rice was incredibly sticky and I couldn’t help but think the coconut rice would have gone well with both dishes too. The vegetable side was spot on and I couldn’t fault it, it was nice to have mushrooms as I am rather deprived of them at home with D refusing to eat them (or at least when he knows he’s eating them…). It took a while for someone to approach us and take our order for dessert… once again the table next to us receiving their menu and having their order taken before us. I’m not bitter, promise… The selection was more than I expected for a Thai restaurant as usually your only options are banana fritters or ice cream. Regular readers of my blog may realise that D often orders the Eton Mess for dessert and is almost always disappointed. There was no Eton Mess but there was a Mango Meringue Roulade which he opted for instead, basically a more uniform mess. 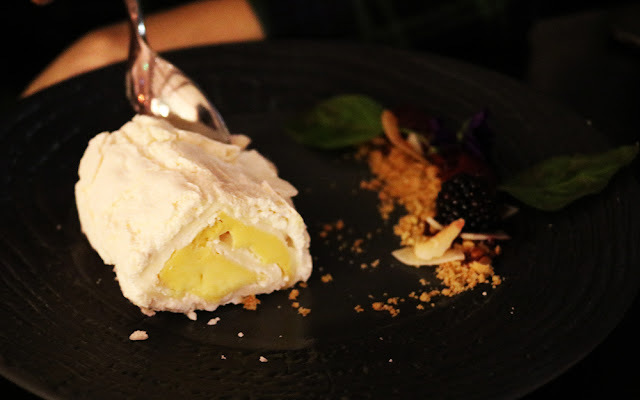 There was nothing to fault with this dish, the meringue was well done, not too chewy and not too dry; the mango wasn’t over done or too overpowering either. 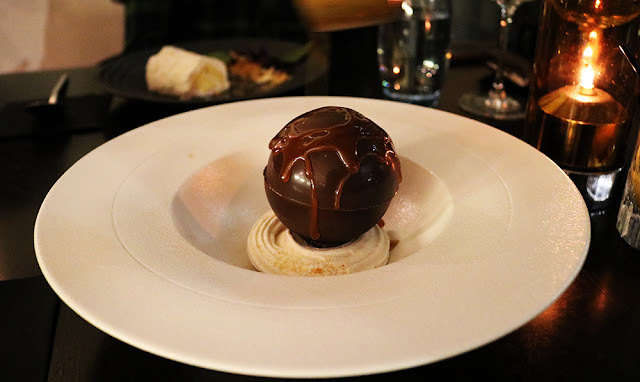 I spotted the word ‘bomb’ on the dessert menu and immediately wondered if this was one of those fashionable desserts where hot sauce is poured on top of a chocolate sphere to reveal the dessert within. I wasn’t wrong. I was very excited to be trying my first bomb but was slightly disappointed when it didn’t completely explode or implode rather. There wasn’t enough hot toffee sauce to melt away my chocolate casing an leave my ice cream sat in a dreamy pool of hot chocolately-toffee puddle. 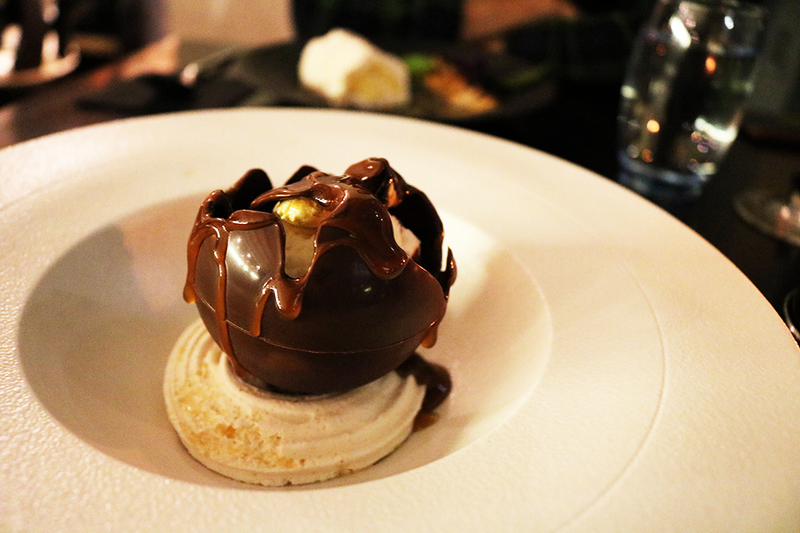 The dish was also completely overwhelmed by the whiskey ice cream, I could taste nothing but whiskey. I can handle a dash of whiskey with my dessert but someone had been a little heavy handed when they made this ice cream. As mentioned desserts took a little while and one of the waitresses did come over to us at one point to tell us it would only be 2 more minutes but 2 more minutes passed and with each continuing minute of waiting we became more and more restless. The bloggers and media types had started to vacate and we were left still without our desserts despite booking in to the earliest time possible. 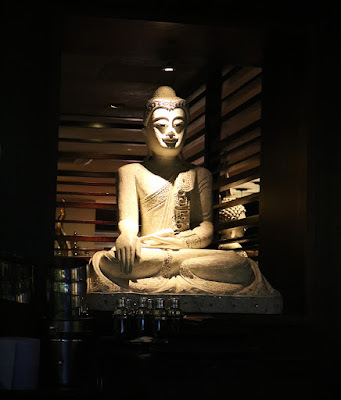 I felt a little silly for telling D prior to arriving that the service at Chaophraya was top notch and that you barely notice the waiting staff as they are so sleek and graceful and take away your plates without you even noticing. Perhaps it was just an off night or new menu nerves. Have you been to Chaophraya lately or in the past? What did you think? 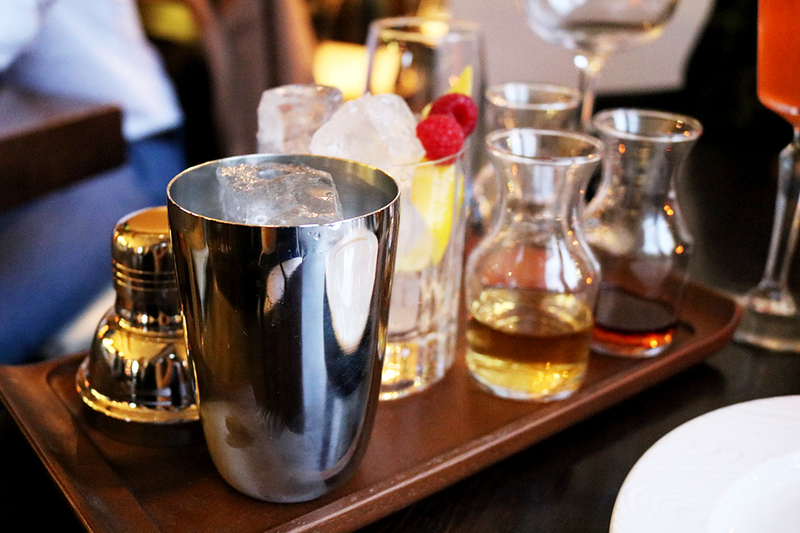 Cosy up at the Adelphi with their new winter menu.